It’s 2:00 pm on September 29, 2018. 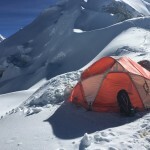 I’m sitting in the dining tent of Advanced Base Camp at nearly 19,000 ft. on Cho Oyu, in Tibet. I’m slurping cream of mushroom soup while processing the past 24 hours. For that matter, the past 39 days. 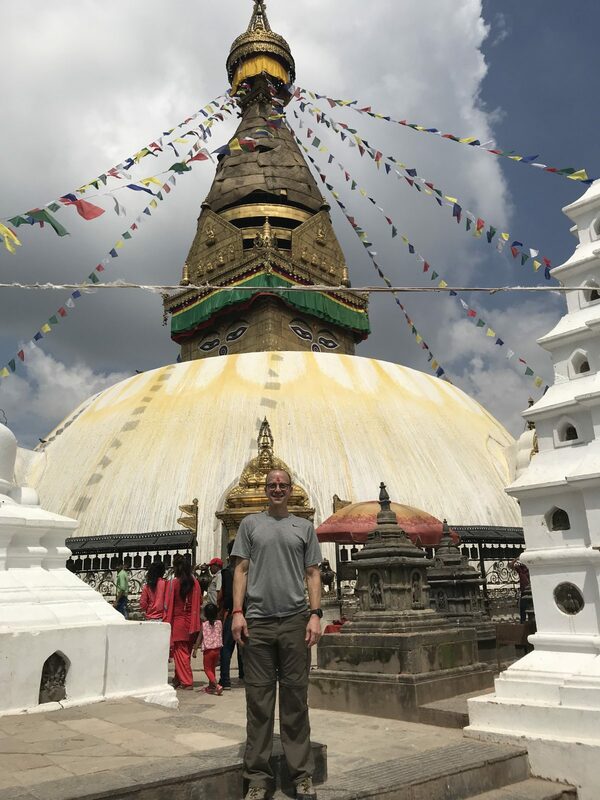 I arrived in Kathmandu on August 26 for an adventure of a lifetime. 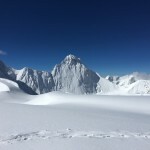 I had decided to climb my first 8000 meter peak a year earlier. 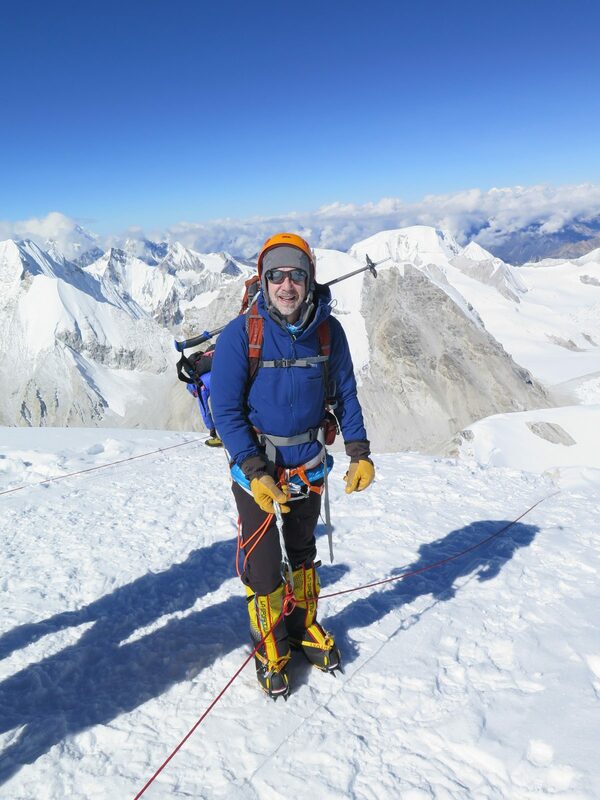 I had already climbed six of the world’s highest continental peaks. Everest was the only one left. 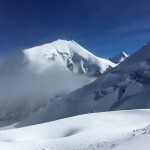 Outside of the Himalaya the highest mountain you can climb is the 22,890 ft or 6990-meter Aconcagua in Argentina. I climbed that mountain in 2012. Everest was out of the question at this time for many reasons. The most important reasons were that it was expensive, time consuming and an unknown. 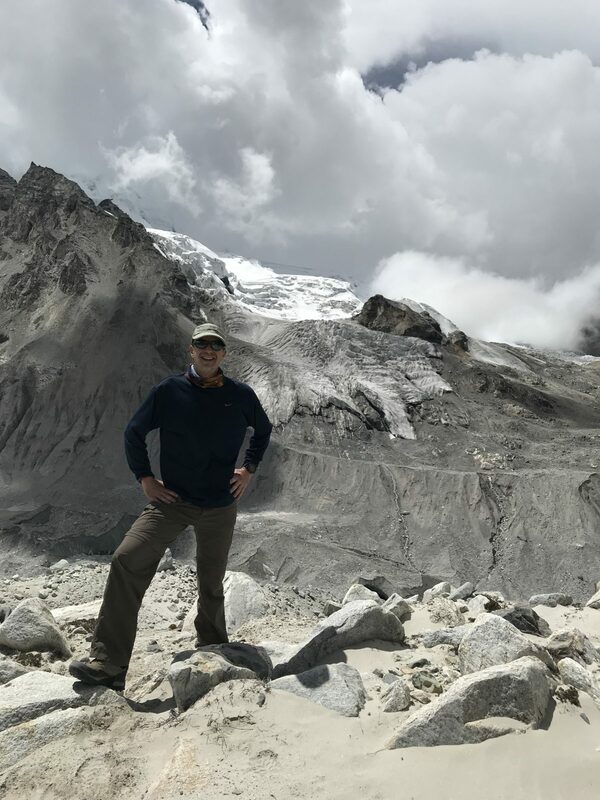 I had been climbing big mountains since 2005, but peaks over 26,000 feet are very different climbs from anything I had done to date. My strategy was simple. 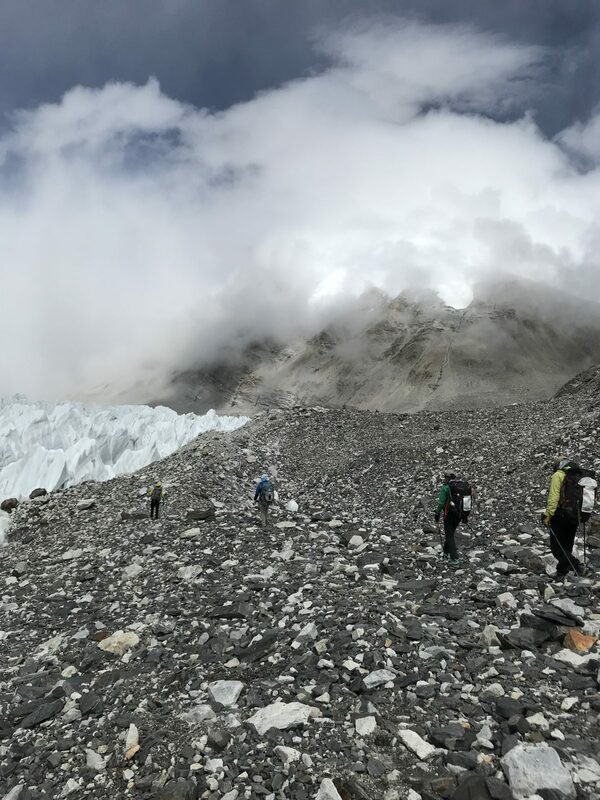 Pick a peak near Everest that I could attempt that would take less time, cost less and require less experience, learn from the experience and then decide if Everest was attainable. There are 14 peaks that are 8000m or higher. 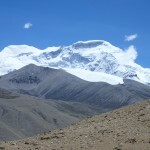 Cho Oyu is 8200 m or 26,900 ft. 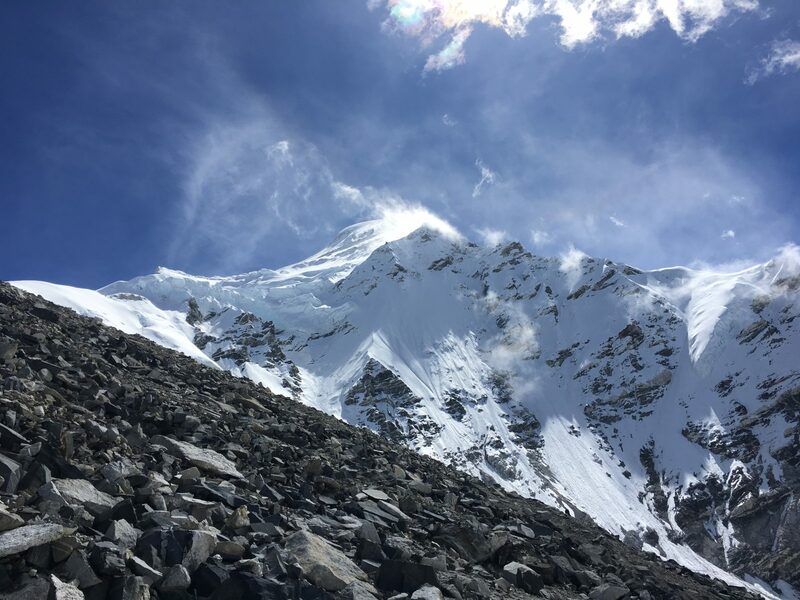 It is commonly climbed in the fall after monsoon season ends while Everest is usually climbed in the Spring before monsoon season begins. 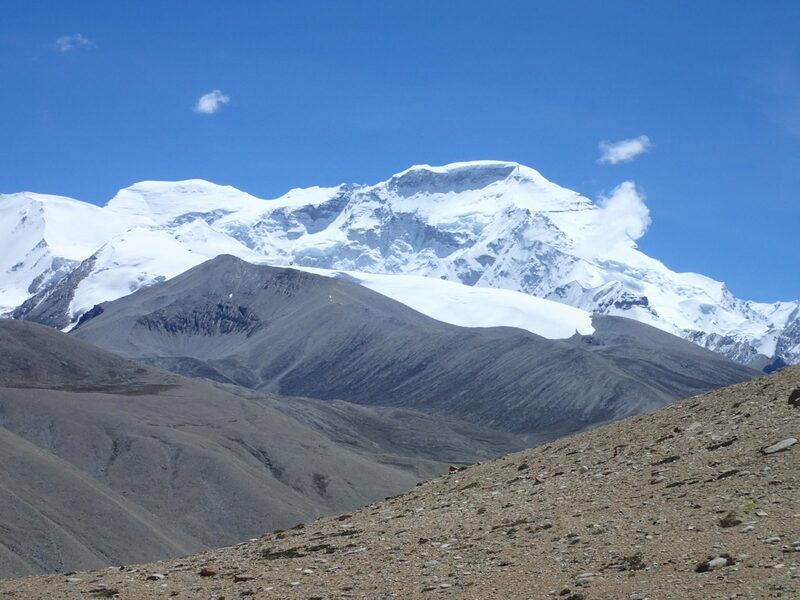 I decided that Cho Oyu was the best choice for me. It would require the most serious training to date. I would be away from family and work for six weeks. There was no guarantee of a successful summit. What more could I ask for? I began my training just after New Year’s 2018. I have always run, cycled and worked out, but I went into overdrive. I ramped up my training to twice a day during the week, 1 to 1.5 hours before and after work. On the weekends I would take 4+ hour bike rides once the weather improved or 4+ hour hikes with a 55 lb. backpack. During the week I would mix up the cardio days with weight training as well. I did all I could to get into the best shape of my life. As I trained, I lost weight and had to supplement with protein shakes. I was training and eating like crazy. Upon arriving in Kathmandu, I met my team. Ten climbers, six from the U.S., two from Germany, one from South Africa and one from Australia, ranging in age from 27 to 61. Our guide, Dallas, was 37 years old from Seattle. 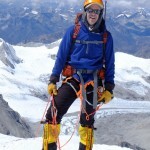 He was an avalanche expert and forecaster as well as an experienced mountain guide. 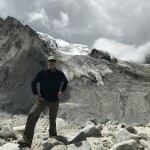 He had led three trips to Cho Oyu and Everest in the past few years. 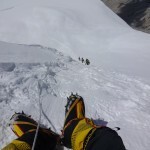 I was climbing with IMG (International Mountain Guides). 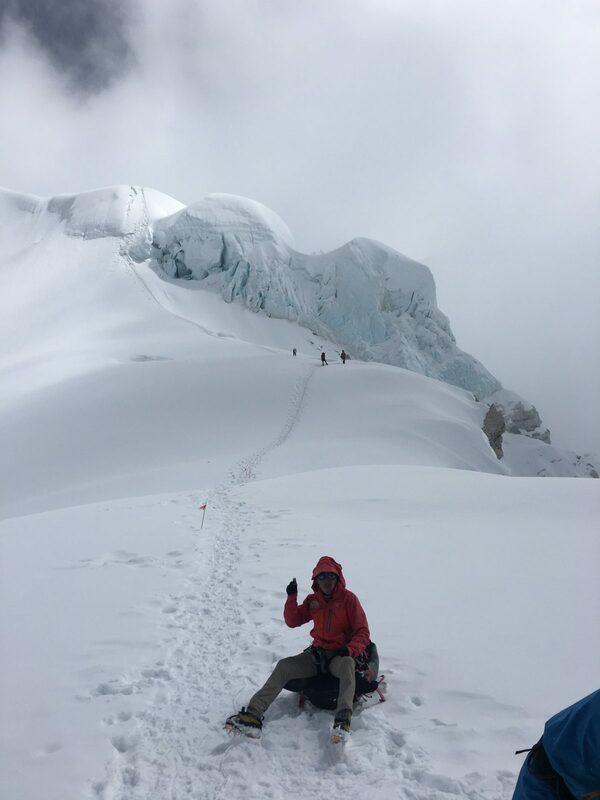 Unlike on any previous mountain climbing trip, I was struck by the level of support I had with this expedition. 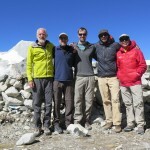 We had a guide, 10 Sherpa and one cook plus kitchen help. 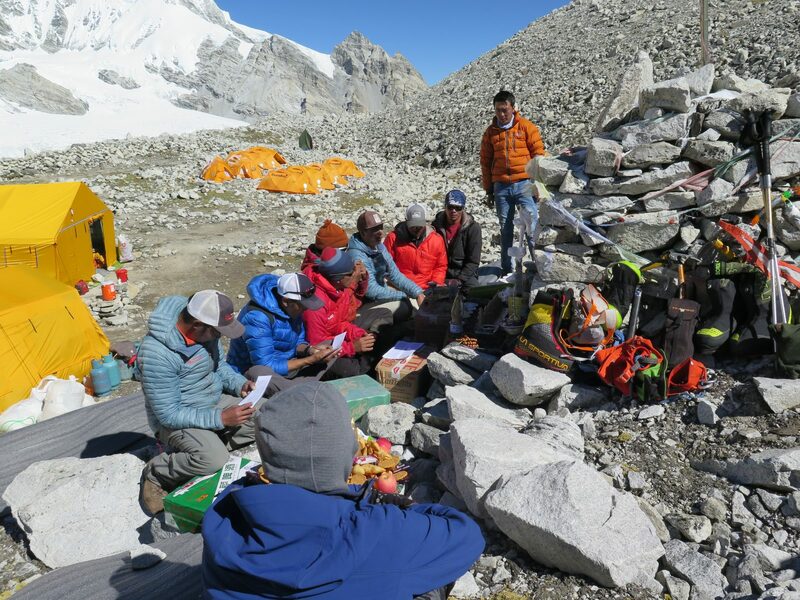 At Advanced Base Camp we had a well-stocked dining tent with table and chairs. 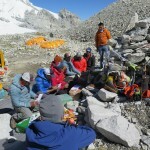 The Sherpa had their own group tent to gather, store food and have a complete kitchen. Breakfast was often, eggs, bacon and pancakes. Lunch was sandwiches, pasta, or soup. Dinners were pasta, rice, chicken, lamb and vegetables. There were tons of snacks, hot drinks and cold drink mixes. Nothing was left out! At least every 4th or 5th meal had fried Spam. 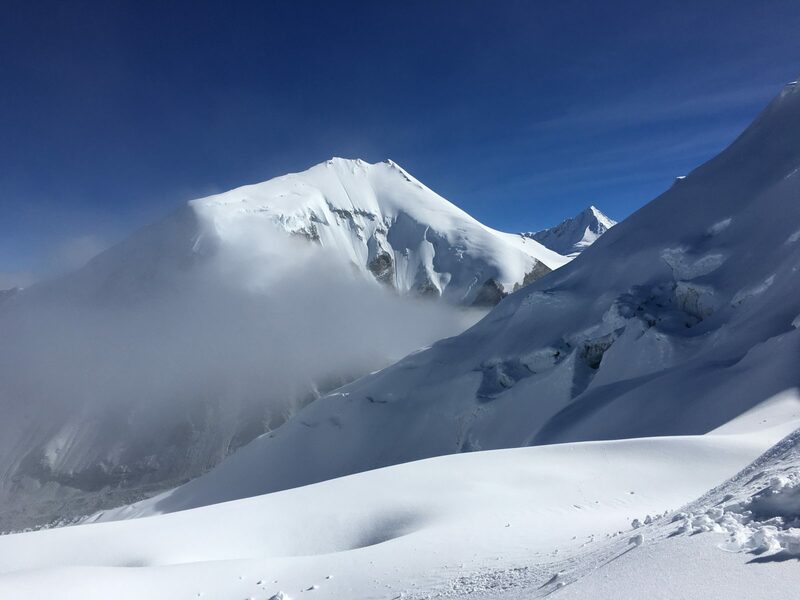 To climb a mountain like Cho Oyu requires time and patience. One’s body must acclimatize. For that to happen, you must slowly move up the mountain and self-assess your body’s ability to manage the lack of oxygen. Acute mountain sickness can take many forms. You can have something as simple as a headache or loss of appetite or in more severe cases you can have pulmonary or cerebral edema. We left Kathmandu after four days and made the long mountain drive to the border of Nepal and Tibet. The mountain road was in bad shape. Mudslides and washouts made the 85-mile trip a 10 hour slog. Once we had to leave our Jeep and cross a mudslide on foot to another Jeep on the other side. 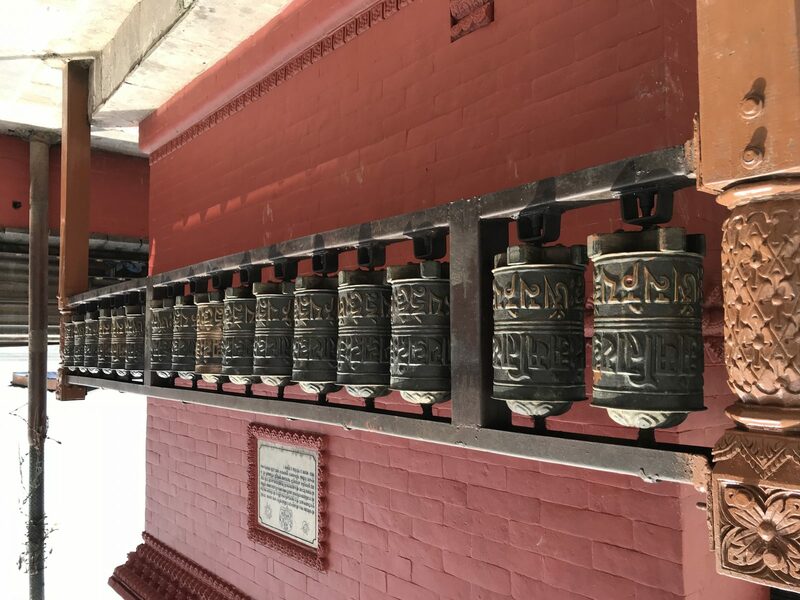 We crossed the border to China and stayed two nights in the town of Kyirong, at 9000 ft. We did a day hike into the mountains one day before we moved to the next town, Tingre, on the Tibetan Plateau at 12,000 ft. We stayed two more days and hiked outside of town each day. It felt good to be moving. 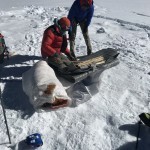 Finally, we moved from Tingri to Chinese Basecamp at 16,000ft. We left the towns and hotels behind and were now in tents. The bulk of our gear was carried by yaks. 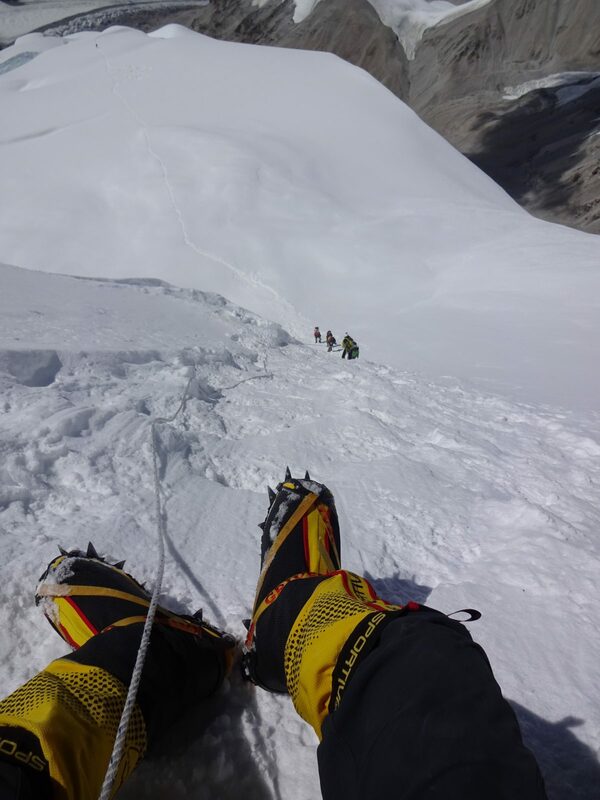 Some climbers were beginning to feel the effects of the altitude. Several had already started taking Diamox to offset the symptoms. 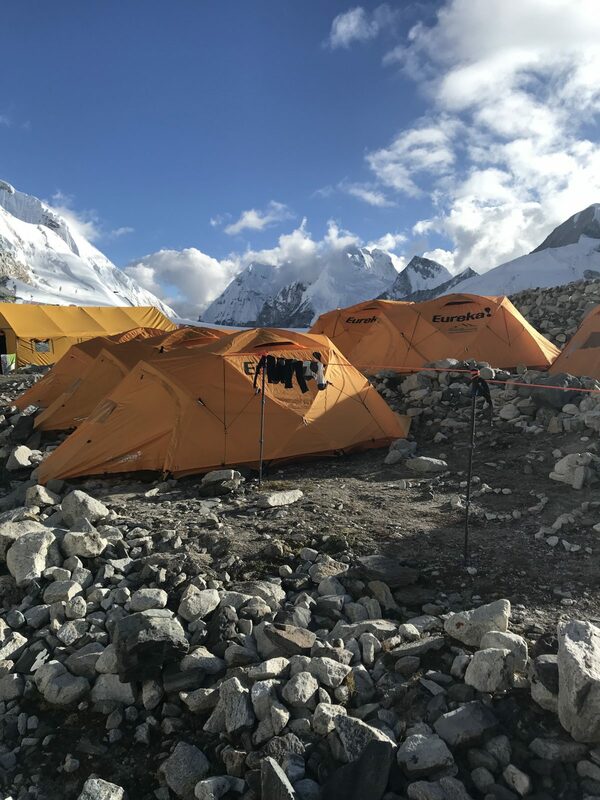 Two more days and two more hikes to 17,000 ft. We hiked and moved twice more that week arriving at Advanced Base Camp (ABC), at 18,800 ft. We would stay here for the next 28 days. ABC was on the rocky moraine that resulted from the retreating glaciers. 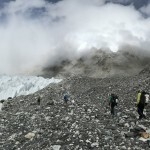 The head Sherpa told us that the whole valley was a covered glacier when he first climbed there in 1995. Much of it had melted leaving a layer of crushed rock behind. We would hike three times from ABC to higher up the mountain. The trail from ABC to Camp 1 was seven miles. The first six miles was rock over ice with a gradual elevation change of 1000 ft. The final mile was 1200 ft steeply uphill on a series of loose gravel switchbacks. The first time it took us over six hours. The third time took under five hours. Acclimatization was working. 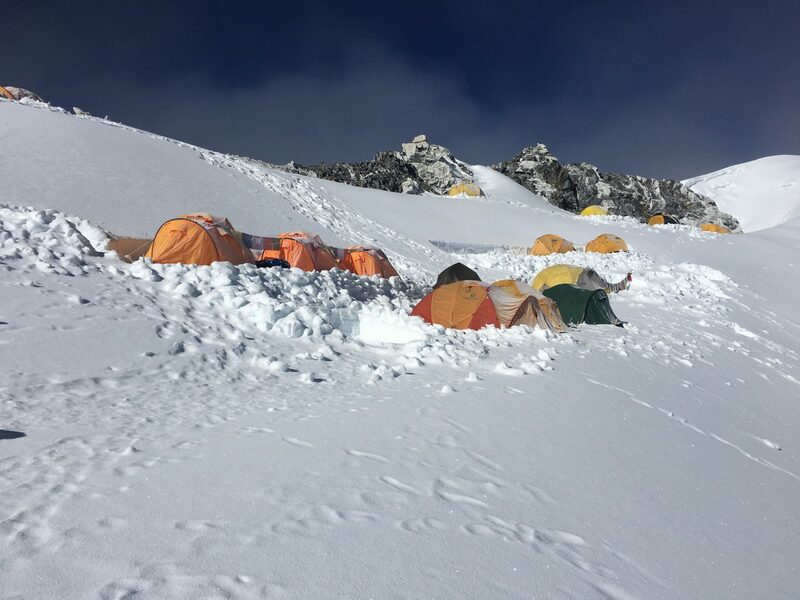 During the more than three weeks at basecamp we would travel up to Camp 1 and back three times, up and over the ice wall and back three times and up toward Camp 2 and back three times. 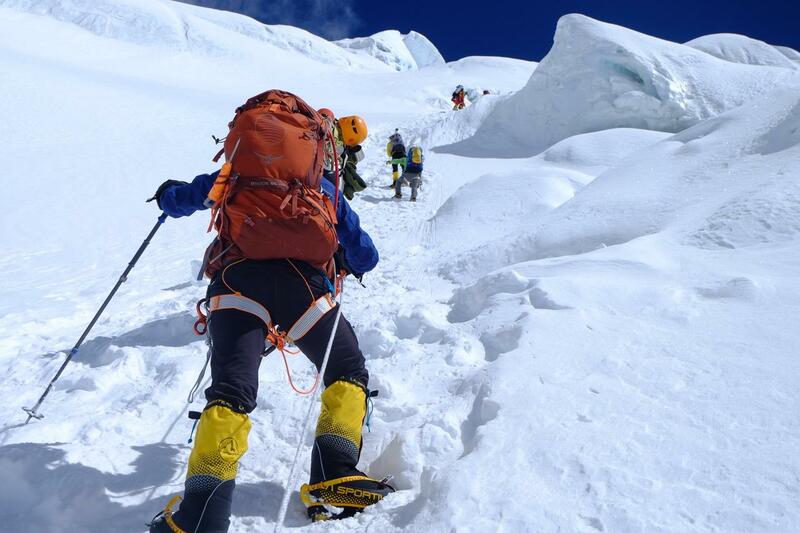 Of the ten climbers in our group we would lose seven, due mostly to illness. Many things must go right to make it to the summit. It’s not enough to train your hardest in the months leading up to the climb. You must arrive healthy. You must stay healthy. It’s easy to get food poisoning or spread an illness. It’s easy to twist an ankle. Altitude affects everyone differently. It’s easy to have a bad night’s sleep or a bad day climbing and consider giving up. It’s not just physical, it’s a mental game, working very hard some days and resting, waiting and thinking on other days. Keeping your head in the game is important. When you have a bad day because you don’t feel well, you must shake it off, rest and get back to climbing the next day. Because we follow fixed lines set up each year by a select group of Sherpa from all the climbing teams, you can go at your own pace. You are not roped together. That helps each of us to move independently and not have to slow down or speed up for others. Usually we were no more than 30 minutes apart, sometimes much less. Our first rotation up to Camp One was great. After more than two weeks I was finally on snow. We brought up our snow suites and second sleeping bags. 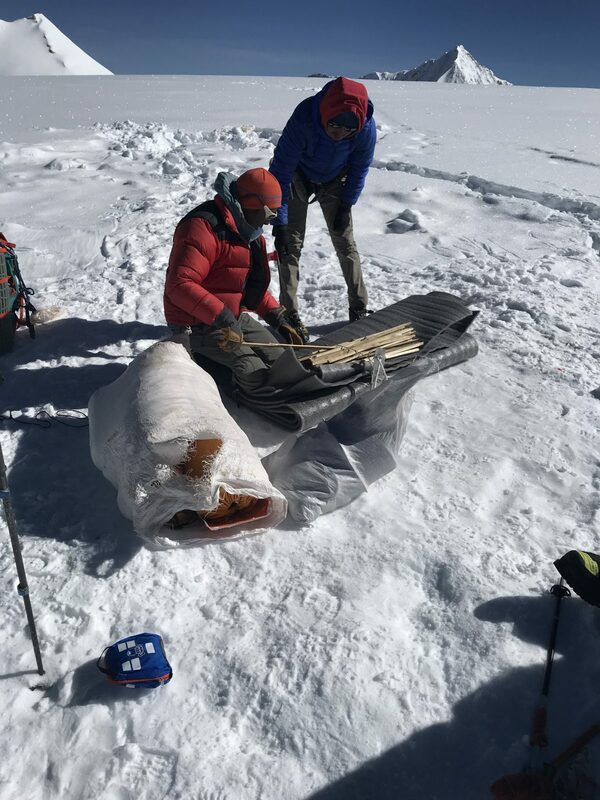 We also brought our high-altitude mountaineering boots, crampons, ice axes and all the gear needed for the upper part of the mountain. 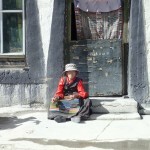 Or, should I say my Sherpa brought some of those items up for me! That night we ate fried rice in our tents and then with our snow suits on we covered ourselves in our sleeping bags like big blankets. We looked up the mountain and traced the route with our eyes, and it looked steep. We would not be going higher this trip. 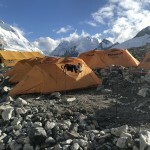 We returned to basecamp the next day. We would return to Camp One about four days later. This time we stayed overnight. The next day we hiked the steep trail to the ice wall. I had heard about it but didn’t really know what it looked like. It took almost three hours to get there. Looking up all I could think was, “Wow, this is even steeper”. It was another hour to climb this near vertical wall to the top. With crevasses along the wall and changing ropes, I found it one of the more technical features I had climbed. 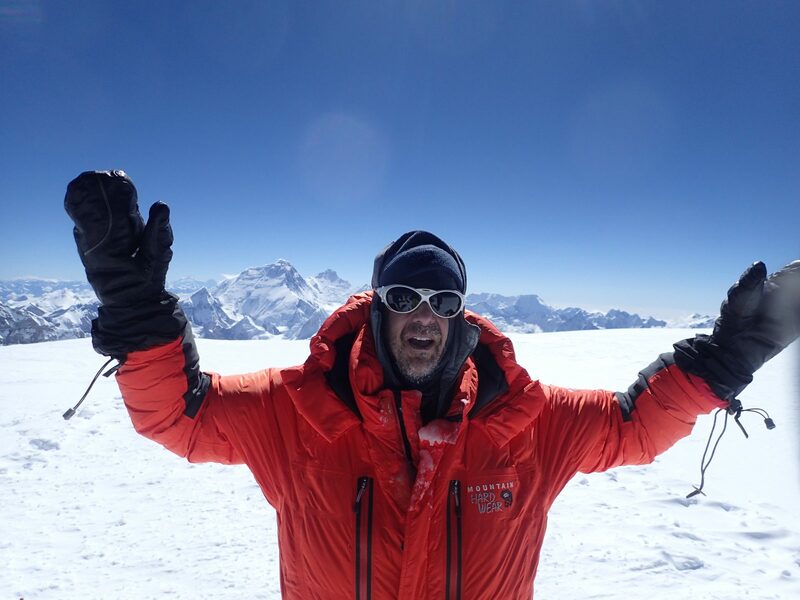 At nearly 22,000 ft it was also hard physically. Once on the top the feeling of accomplishment gave me a sense that I could really do this. Before that point, I really didn’t know how I would do on the steeper, higher parts of the mountain. Back at Camp One I had a bad night. I was having trouble breathing. When your respiration rate goes down, your brain tells you you’re not getting enough oxygen and then you make an unconscious gasp for air. This is alarming and makes it impossible to sleep. I started Diamox and eventually it helped to settle my breathing down. 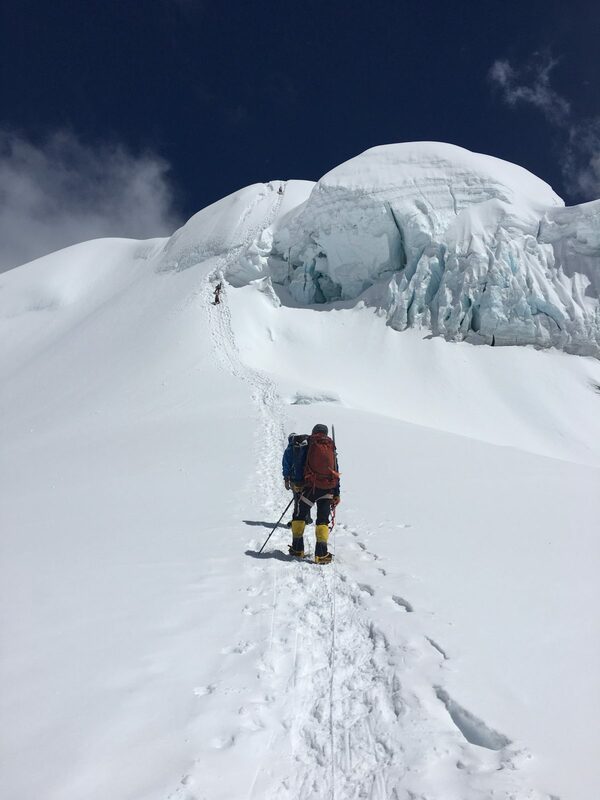 I would continue Diamox for the remainder of my time at elevation above 20,000 ft.
Two of the climbers in our group never made it to the top of the ice wall that day and made the return trip to basecamp. Another would leave because of stomach issues. The next day there would be only four of us remaining. 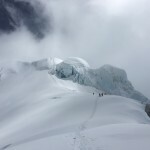 Three of us would continue up and past the ice wall and camp just beyond at over 22,000 ft. The night sky was beautiful with the moon lighting up the snow and the stars so brilliant that you could see the Milky Way. 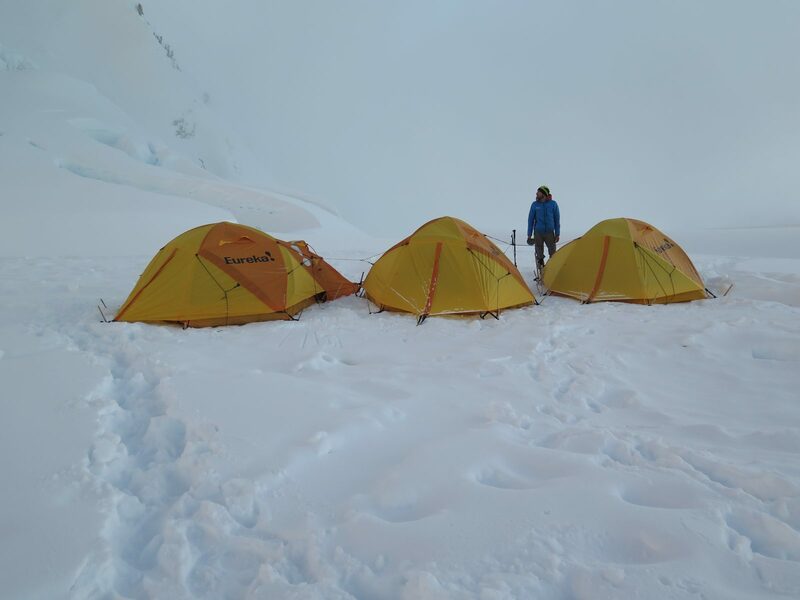 The next day we returned to Camp One and spent another night there to acclimatize before returning to base camp. I would look back on that rotation and feel thankful that my body was accommodating to the altitude. I had struggles, but I was doing something I loved! 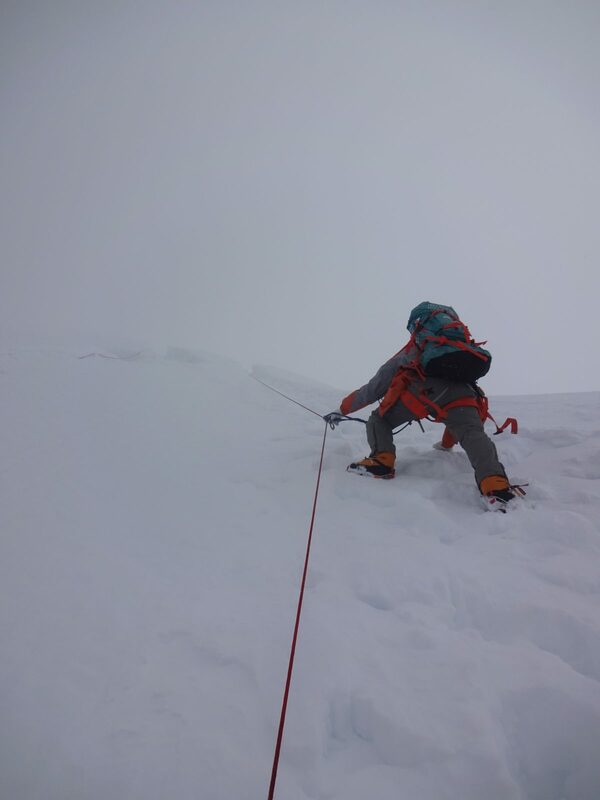 I was also thankful I was still climbing and planning to attempt the summit. The long walk through the moraine really beats you up. The soles of my trekking boots were starting to come apart. I made a mental note to contact Solomon when I got home. Back at ABC we had a nice lunch and dinner and I slept for 10 hours. Each night we ate dinner around 6 pm. Afterwards we would talk or listen to music. We would share stories about past adventures or brag about our kids if we had them. Nobody played cards, which was unusual, and most often we would go to our tents around 8 pm because it was so cold. When the sun went down it would get too cold to hang around and we would brush our teeth and return to our tents. Inside our tents we would be alone for the next twelve hours until the sun rose above the neighboring peaks and warmed up the camp. Twelve hours is a long time to entertain yourself. Watching a movie or T.V. series was not an option for me. I was not smart enough to bring anything other than reading material. At home I sleep for about 6-7 hours, so this was certainly an adjustment. I did find that just managing myself occupied a lot of time. Getting my stuff organized, getting ready for the next day, changing in and out of clothing, and thinking about what was to come made the time pass quickly. On reflection, there was a lot of down time, but I never felt like I was bored and looking for something to do. There was always something to do. I did read five books while at basecamp. 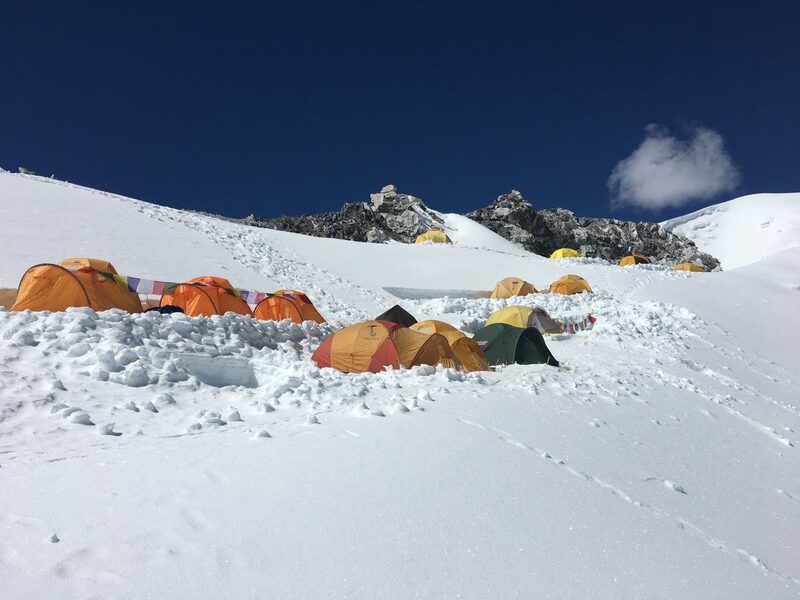 After two successful rotations to the higher camps we were waiting for the good weather to leave basecamp and go all the way to the summit. The four of us that remained were split into two groups. 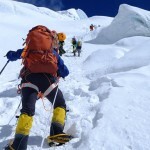 The first group would leave a day earlier and push for the summit. One of these climbers was trying to complete the climb and return to Massachusetts for a family wedding. I was in the second group trying to get an extra day’s rest. 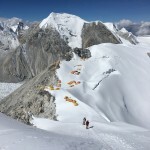 The first two climbers left basecamp at 9:00 am bound for Camp One. Two hours later our guide had just spoken with the logistics office in Seattle where they constantly review several weather models. He was told that if we waited, we would likely encounter bad weather. He immediately informed us that we had two hours to pack and hit the trail to join up with the others at Camp One. 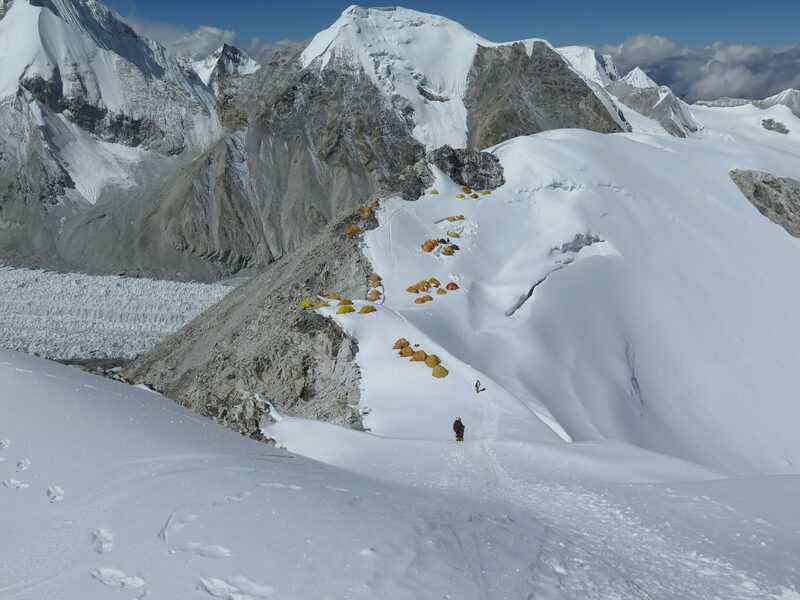 We quickly packed and with several Sherpa we started our climb to Camp One. 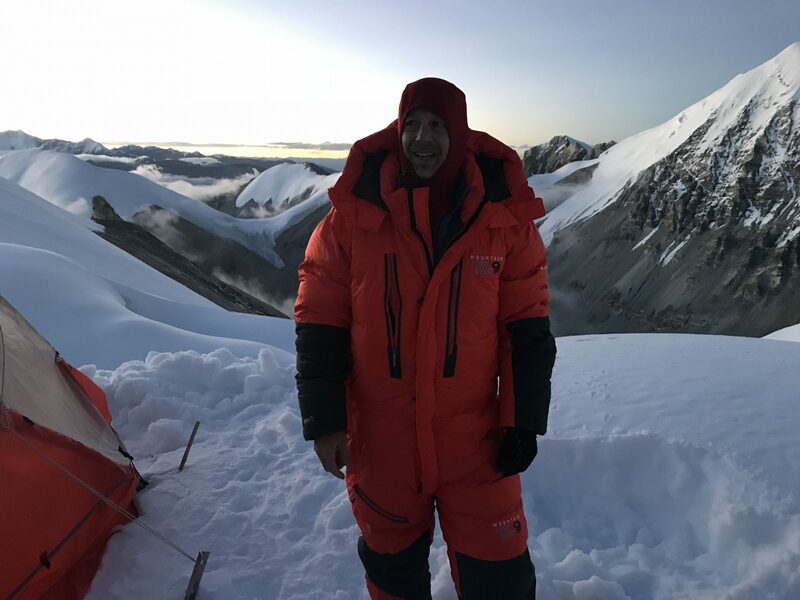 What had taken 6.5 hours the first time would take us less than 5 hours this time due to the benefits of proper acclimatization. We arrived at camp by 5 pm and joined our other teammates. We quickly changed into our snow suits and crawled into our tents. 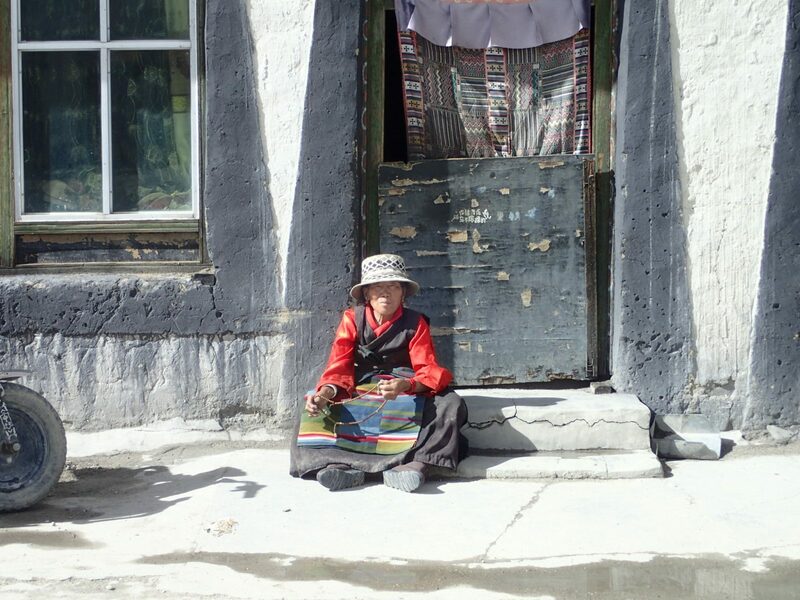 The Sherpa had boiled water and made soup for us. Later we would enjoy a single MRE (U.S. military meal) entrée. We slept well that night. We should have had a rest day to follow, but the weather window was deteriorating, and we had to go. 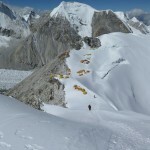 In the morning we gathered our gear and began the climb back to the ice wall. We rested on top for a short time before continuing to Camp Two. It would take another three hours to get there. 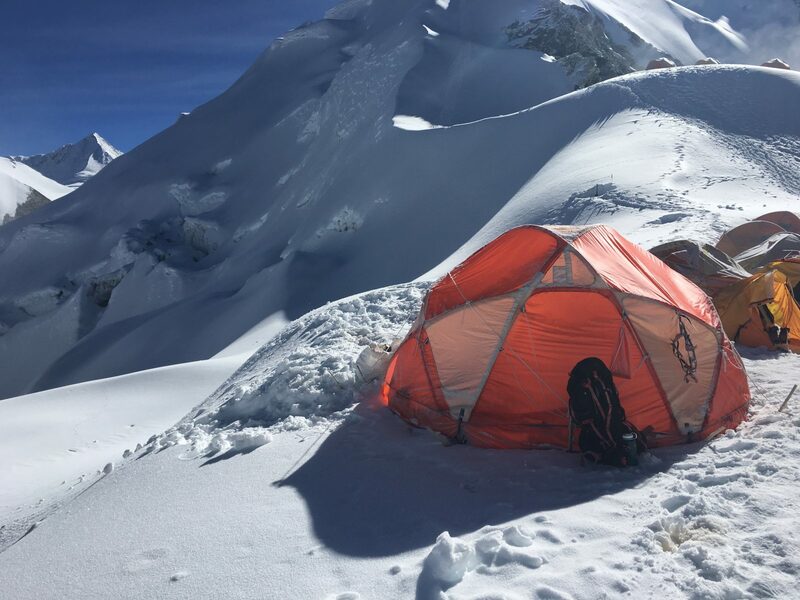 We were above 24,000 ft. We arrived around 3 pm and quickly moved into our tents and put on our snow suits on again. It was at Camp Two we started on oxygen. We would set our regulators for one-liter-per-minute. We would be served hot water for tea and hot soup and later we would dine on another MRE. On that night I had tortellini with marinara sauce. We rested and tried to sleep, but we were up at 1:00 am to more hot soup and tea. By 2:00 am we were outside and ready to go. Putting on your climbing harness, boots, crampons, helmet and headlamp in the cold and dark at 2:00 am at 24,500 ft is no easy task. Adding a backpack with oxygen tank and oxygen mask was even more fun. But looking up at the starry sky and starting our summit bid in the crisp cold night is just impossible to describe. 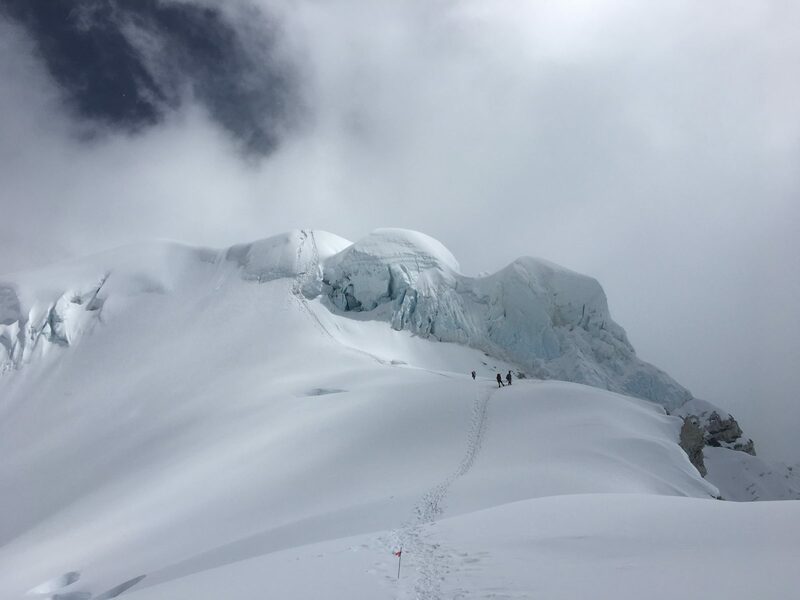 Knowing that we were headed toward the summit was surreal. 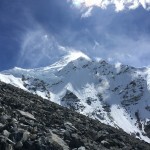 We hiked for two hours to get to Camp 3. We could have hiked there the next day and rested, but we were moving fast to avoid the incoming weather. Oxygen tanks weigh 18 lbs. each and can last for 10 hours with a 3 liter/min flow rate. Each hour we would stop for no more than 10 minutes to eat and drink. It was too cold to stop any longer. Another two hours of hiking with rest stops and we were at the “Yellow Band”. This is a steep rock wall at or near 25,500 ft that requires strength in both arms and legs to navigate. As I was just moving above the Yellow Band daylight began to appear. We continued for another 2.5 hours to reach the summit. The last few hours really test your endurance and mental toughness. We were tired and cold, but we knew we must keep moving. Nobody was talking, we were all in the “zone”. 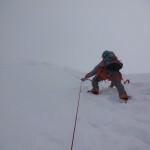 After several false summits we could see the real summit. The prayer flags in the distance were my clue. Once I arrived, I was surprised at how flat the summit was, but the most amazing part was the view. On top I pointed to a large mountain in the near distance and asked what it was. My Sherpa told me it was Everest. We took off our oxygen masks and posed for several photos. We had something to eat and drink, but we didn’t linger and left the summit after only 20 minutes. 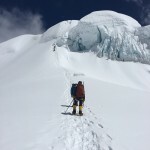 We had started almost a month earlier with 10 climbers and we finished with only three of us reaching the summit. 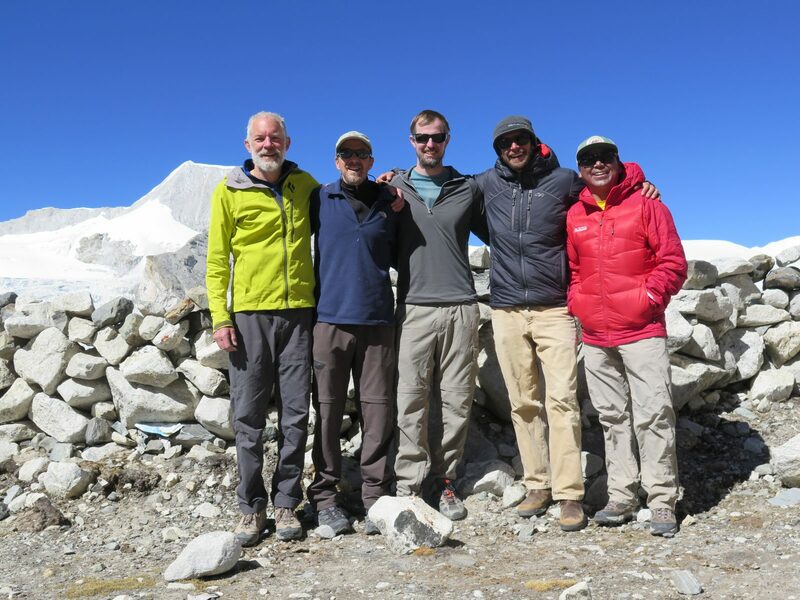 One of our final four never left for the summit with us and chose to remain at Camp 1. 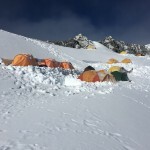 It would take another 4.5 hours to return to Camp 2. Climbing down can be very difficult. We were tired and dehydrated. We had not had enough food or water and the water we had left was beginning to freeze. Holding ropes and trying to keep our balance and not fall becomes paramount. 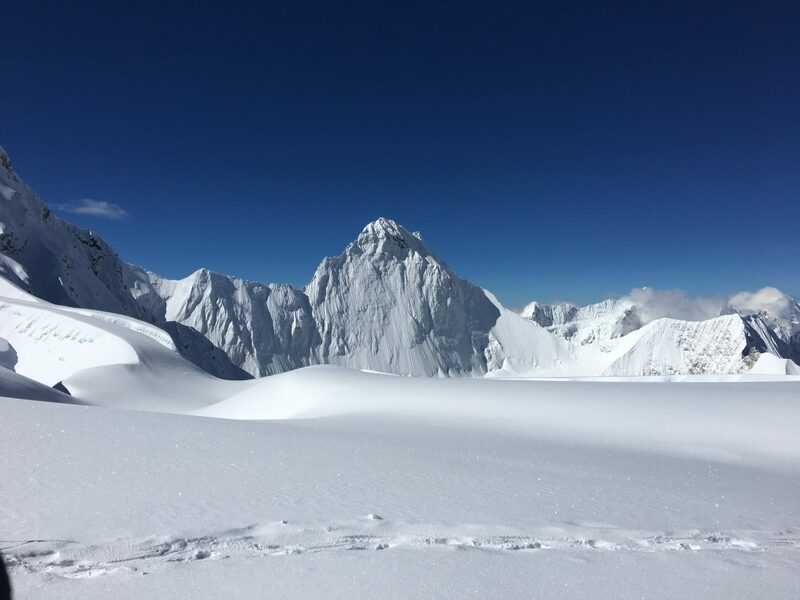 The adrenaline used to reach the summit is all but gone. What remains is just the will to get to the tent and collapse. 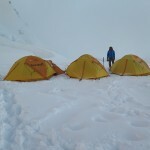 After 10-11 hours of descending we arrived back at our camp and our tents. We celebrated with hot soup and hot tea. The sun was out and warm on our bodies. We would spend the rest of the afternoon reliving our prior 24 hours and our accomplishment. That night we used the remaining oxygen to sleep. In the morning we had the grueling task of packing everything up and breaking camp. We had carried up items we needed during our three trips up. Now, we had to take all our clothing and unused food back down the mountain in one trip. The Sherpa helped, but we still carried down our largest loads of the trip. That brings me back to the beginning of my story. I was back at basecamp. The air at 19,000 ft never felt better! 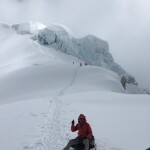 Our small remaining group talked about our adventure and the luck we had with good weather and strong climbers. I took a moment to ask my climbing Sherpa, Finjo about Everest. 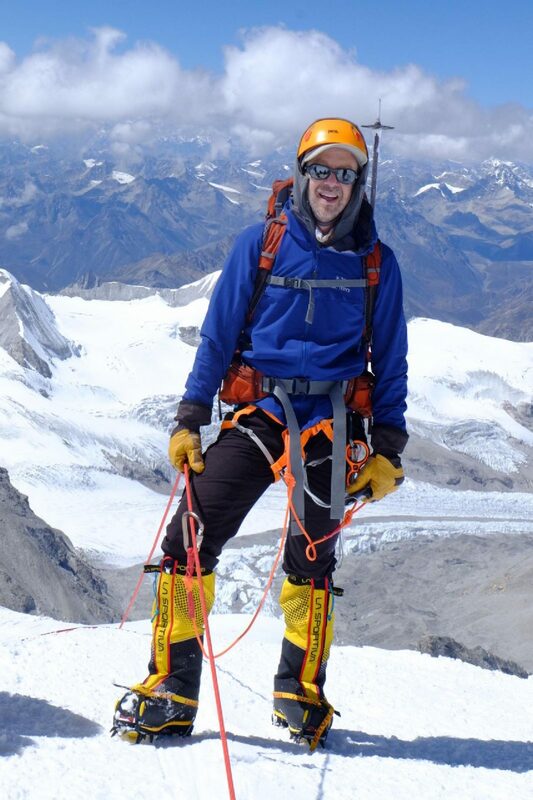 He has climbed Everest three times. 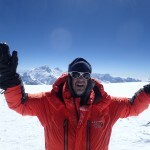 I asked if he thought I could climb Everest after Cho Oyu and he said, “Yes”. 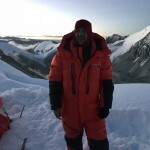 When I asked him how hard it was compared to Cho Oyu, he answered, “Very hard”. That night we packed our gear for the yaks to carry back down the mountain the next day. At dinner the Sherpa all gathered with us and we enjoyed laughs and highlights of the trip. 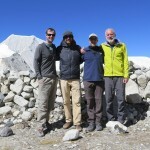 I can’t begin to describe how kind and warm the Sherpa are to us or how quickly we became friends. On that last day we said goodbye to the Sherpa. We were hiking out to vans waiting for us about four hours down the trail. 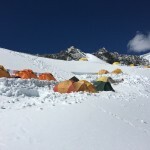 The Sherpa would stay another 1-2 days to break down basecamp. 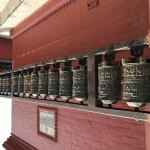 A few would take us back to Kyirong that night and then to the Nepal boarder the next day. We arranged to have a helicopter take us back to Kathmandu, a 45-minute flight, rather than another 10+ hour car ride. We waited in the small border town with a group of Americans of Indian descent. They had just completed a pilgrimage of Mt. Kailash in Tibet. We waited for a few hours and learned about their trip as they learned about ours. We shared Indian tea and gave them what little food we had. It is these serendipitous moments that I enjoy most. Later that day we were back in Kathmandu, where it all started 39 days earlier. We had hotel rooms with a real bed and bathrooms with a shower. You forget the simple pleasures on the mountain. 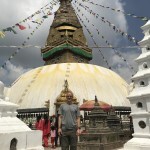 I left Kathmandu to come home the next day. It takes almost 24 hours to travel door to door. 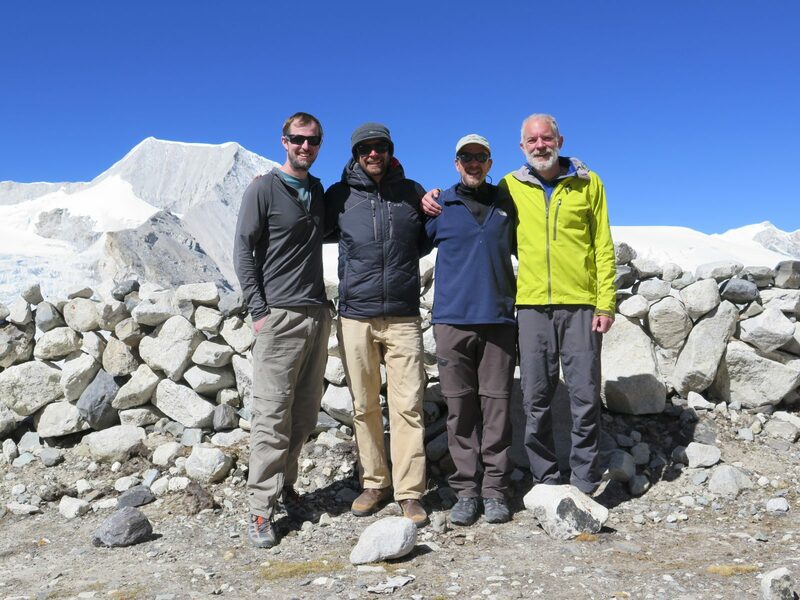 I loved this adventure and can’t wait to return to the Himalayas soon. 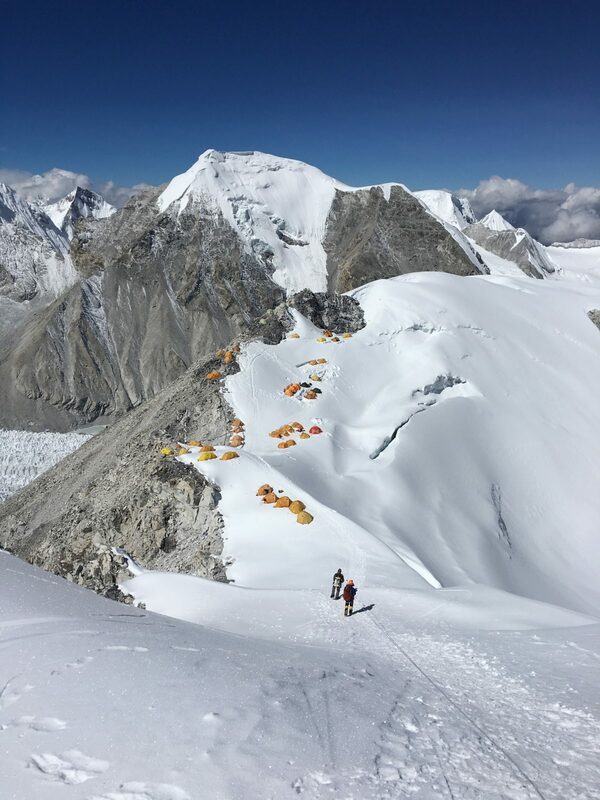 For now, it’s good to be home, but I have already made the decision to return in March 2019 to join the IMG Everest Team. 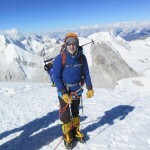 As I recover, I am planning my training and following the advice of my guide and the Sherpa to get ready for Everest. © 2019 Copyright Endodontic Specialists.